The Schlagwerk CP4005 Beech Cajon is a beechwood faceplate Cajon, featuring 7 layers of Gabon wood for its resonace box, with adjustable snare strings, and a natural finish. 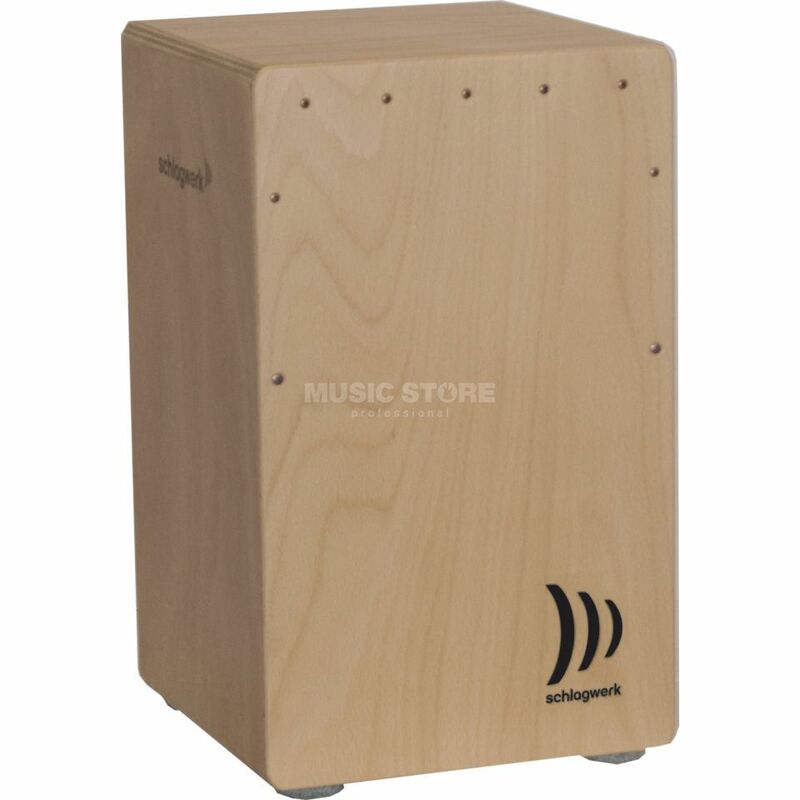 Schlagwerk Cajon la Perù with a beechwood playing surface has been setting the standard for quality and sound of the modern Cajon for more than 20 years. Leagues ahead in quality and sound definition: tried and tested a thousand times, La-Perù technology is based on special cajon strings, whose individual sounds can be adjusted with the help of tuning screws located at the base. The playing surfaces are supported by bases made of optimised woods.